Penny has worked in real estate on Nantucket over 33 years, full-time and year-round. Penny served as a two-term President of the Nantucket Association of Real Estate Brokers and has also been a Director of the Cape Cod & Islands Association of Realtors, the Nantucket Planning & Economic Development Commission (Vice-Chair for 7 years), Sustainable Nantucket, the Finance Committee for the Town of Nantucket, Housing Nantucket and Habitat for Humanity. 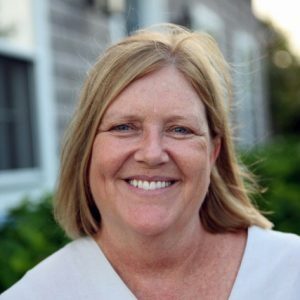 Penny currently serves as Treasurer and a Trustee for the Nantucket Lighthouse School, an independent island school and on the Nantucket Housing Authority as the state representative appointed by the Governor of the Commonwealth of Massachusetts. In 2017 Penny was appointed by the Nantucket Board of Selectmen to the Real Estate Assessment Committee. She is currently a member of the board of Nantucket Community Sailing and in May 2018 was elected as a corporator of Cape Cod 5, a community bank. Penny first came to Nantucket with her family in the summer of 1963 and her family still spends time each summer in Quidnet. Nantucket has been her home year round since 1977; when her summer job cooking at the Club Car was extended to Christmas that year and she never left. 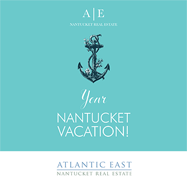 Before working in real estate, as many people on Nantucket do, she had a variety of different jobs including scalloping in the winter months. Penny feels fortunate to call Nantucket home and is enjoying the challenges of running a locally-owned business. Penny was recently featured in “12 People Who Make a Difference”, an article in Nantucket Today Magazine.